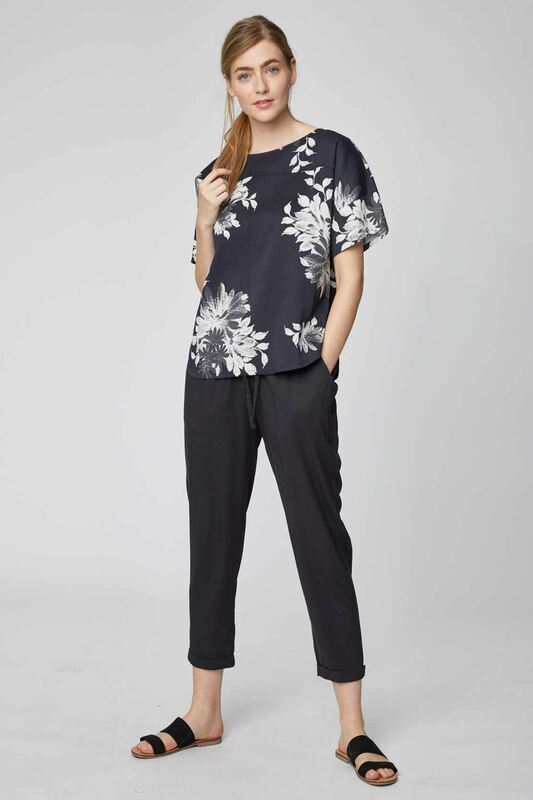 In a smooth Modal and bamboo blend, this black print top is soft, breathable and naturally antibacterial, with a beautiful drape. It features an exclusively designed print inspired by Lee Miller's black and white, solarised print technique. 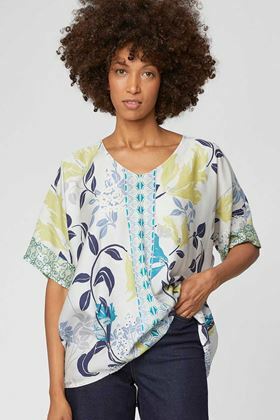 In a comfortable, boxy fit, it has roll up sleeves and a dropped hem at the back. Pair it with your favourite jeans for a day time look or over our bamboo leggings for the weekend.